Bendgate 2.0: New Apple support page reiterates visible bends are "normal"
As previously reported, the issue appears to affect the iPad Pro cellular models more so than the Wi-Fi only models as the support page refers specifically to this variant. The issue seems to be related to the way the plastic antenna bands cool after they are injected at high temperatures into the enclosure, which would appear to make sense. But surely questions have to be asked about whether the aluminum that Apple is using is sufficiently strong enough of the cooling process is causing the metal to warp to any degree? Apple goes on to suggest that because the new design features straight edges that any manufacturing deviations may be easier to spot with the naked eye than previous iPad designs, that featured curved edges. Otherwise, Apple contends, these deviations “are imperceptible during normal use.” Any customers who have purchased an iPad Pro that they believe deviates from what Apple considers normal are invited to return their device to Appel within the 14-day return period. 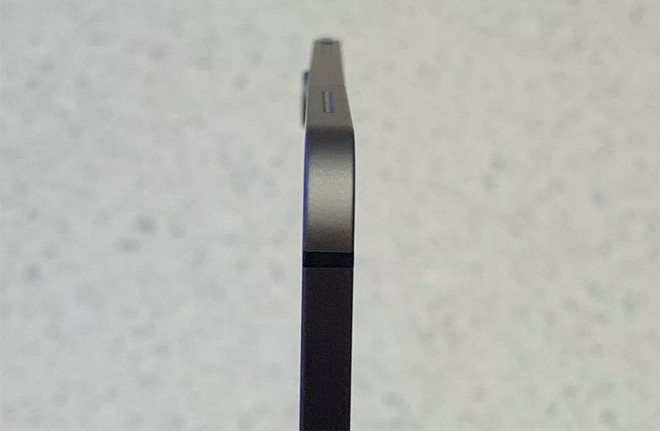 Good luck trying to return your bent iPad Pro if you didn’t purchase your iPad Pro directly from Apple, however. > Notebook / Laptop Reviews and News > News > News Archive > Newsarchive 2019 01 > Bendgate 2.0: New Apple support page reiterates visible bends are "normal"